James Nolan is InterDigital’s Executive Vice President, IoT Solutions. As head of IoT Solutions, Mr. Nolan oversees the development of IoT technology and solutions under InterDigital Labs and the advancement of market-ready IoT technologies toward commercialization. 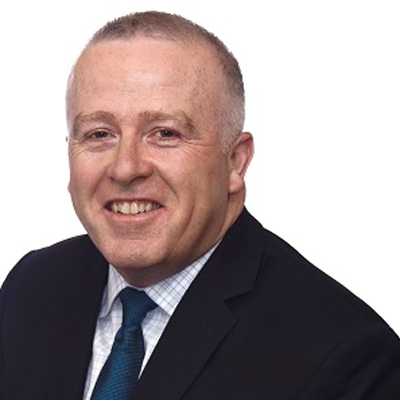 Since joining InterDigital in 1996, Mr. Nolan has held a variety of engineering and management positions, including serving as the company’s senior engineering officer from 2006 to 2014. Mr. Nolan previously served as head of InterDigital Solutions and was responsible for advancing the company’s market-ready technologies toward commercialization as well as establishing and developing strategic business relationships and identifying potential new business opportunities. He was InterDigital’s Executive Vice President for Research and Development from 2009 to 2014. In those roles, Mr. Nolan led InterDigital’s research and development team, overseeing the development of standards-based technology as well as next generation technology initiatives. Mr. Nolan came to InterDigital from the Northrop Grumman Corporation, where he held technical and leadership roles on various engineering development programs. Mr. Nolan serves on the board of directors of Convida Wireless and as co-chair of the Dean’s advisory board for Hofstra University’s School of Engineering and Applied Science. He previously served on the board of directors of EvoNexus. Mr. Nolan earned a bachelor’s in electrical engineering from the State University of New York at Buffalo, a master’s in electrical engineering from Polytechnic University (now known as New York University Tandon School of Engineering), and an executive master’s in business administration from Hofstra University.